Rapper Post Malone released a pair of custom Crocs for the second time this year -- and they sold out in 10 minutes. The Grapevine, Texas, native collaborated to make the yellow shoes that don graphics of barbed wire and jibbitz (buttons) from the rapper's latest album Beerbongs & Bentleys. Pictures on Twitter showed crowds lining up outside Grapevine Mills Mall where the shoes were sold in-store. 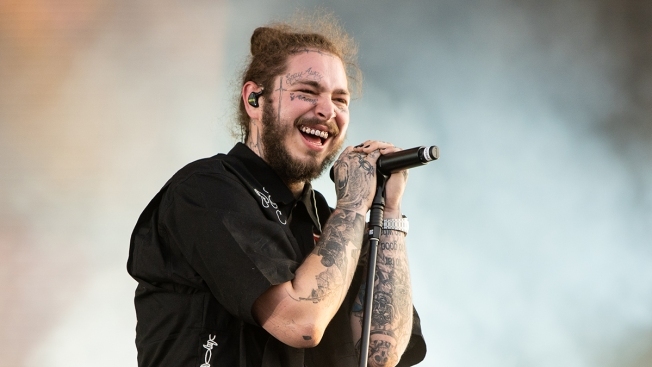 Many fans first spotted Post Malone wearing white Crocs when his plane made an emergency landing in New York after blowing two tires during takeoff at New Jersey's Teterboro Airport back in August. Less than a month later, the rapper was involved in a serious car crash in West Hollywood, California. After the accident, Post Malone tweeted, "God must hate me lol." More #PostMaloneXCrocs arrive online at 2 PM EST. Shop then from the link in our bio.